MeritMade Commentaries - MeritMAKE Private Parties! Did you know MeritMAKE throws private Make a Ring parties?! WE DO! 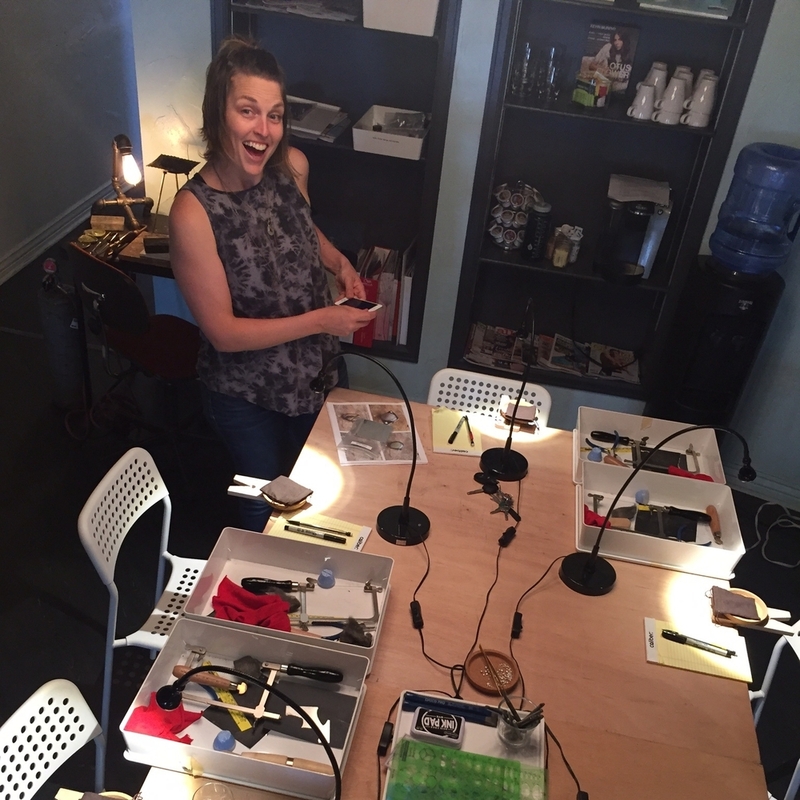 MeritMAKE private workshops offer an awesome excuse to get together with your friends and family and make cool stuff! It's an awesome alternative to birthday parties, bachelorette festivities, family events, even corporate team building! Private parties can be held at our studio space, Bonfire, in Mission, KS or at almost any place you can get the keys to! We have been hosted in living rooms, garages, maker spaces... anywhere that is okay with housing festivities and a little fire. The set up of the party is the same as a Make a Ring workshop; it's a 4+ hour engagement where each participant leaves with a handcrafted, sterling silver ring with stone that they designed! We are there to help and guide at every step. In order to host a private party, you will need 3-6 confirmed attendees. Pricing depends upon where you are (do we have to travel to you?) and how much of the hosting you want to take on (do you want to handle food and drink on your own?). If you are interested in getting a quote for your own Make a Ring Workshop, please reach out! MeritMade Commentaries - Sweet 16 for MeritMake! Last week we hosted our 16th Make a Ring workshop through MeritMake and we are so blown away with the amazing response to these classes and how much we, personally, get from each and every one of them. MeritMake began in January of 2016, as a way for Kelly to educate people about what it really takes to make quality jewelry, fulfill her desire to share her craft and, honestly, pay the bills in the slowest months of the year. What has happened from there has been a dream come true. The first handful of classes were held in Kansas City and housed out of the MeritMade studio at Bonfire, in Mission, KS. In May, we teamed up with the good folks at the Little Craft Show and brought the workshop to Springdale, Arkansas. Last week, we returned from taking the class to Colorado and hosted our 16th workshop at a private party in Fayetteville, AR! Frank, the Forrester, all loaded up and ready to go! Our hosts in Colorado were the awesome ladies of Double Dutch Hair Studio. We hosted two classes and we had way too much fun! It is always exciting to see how each class plays out and going somewhere new made this all the more exciting. Denver really knocked it out of the park, both in the creativity and the awesome people! We met an airline pilot, other metalsmiths & jewelry makers, lawyers, accountants, stylists, chemists; so many interesting people investing in themselves and their creativity for so many different reasons! class 1- not spunky at all! We do these workshops to share and educate about our craft. We do these workshops to remind you that the beauty is in the process. We do these workshops because the desire to teach burns as hot as the torch. We do these workshops to provide people the opportunity to invest in themselves. We do these workshops to give your creativity a place to come out and play. We do these workshops to give you a chance to surprise yourself with what you are truly capable of. We do these workshops because it is too much damn fun not to. Thank you for supporting us and giving yourself a chance! If you want to bring MeritMake to your city, drop us a line and we will see what we can do! Have a private jet you want to donate to the cause?? Even better! Make sure you sign up for the newsletter to get first access to public classes! We hope to see you soon. Want more information on the Make a Ring workshop? Check out this post. 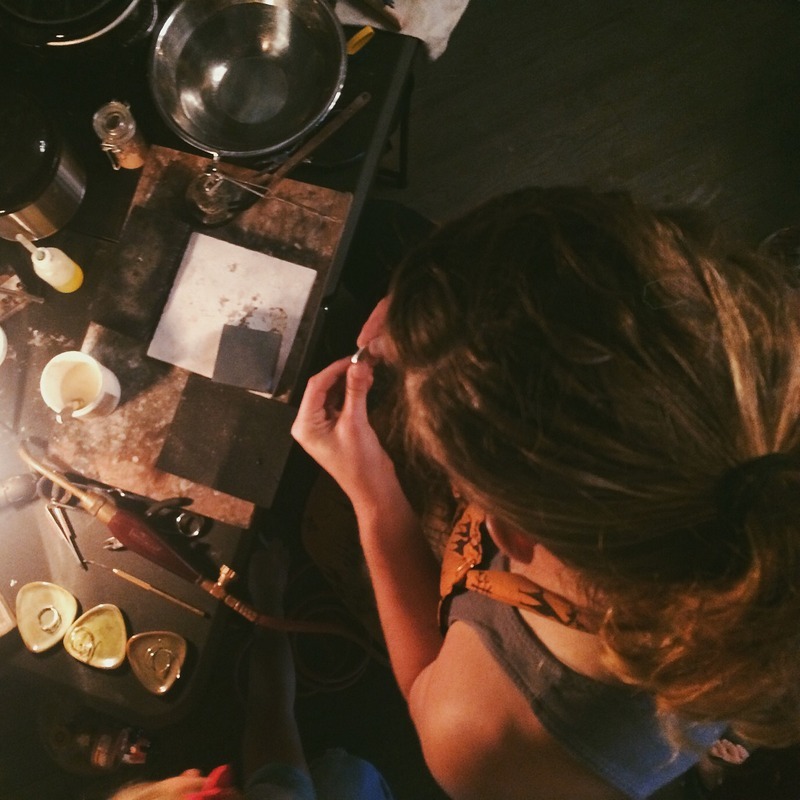 Already been through the Make a Ring workshop and looking to take it to the next level? Check out this post from Kelly on what tools you need to get started.